With these 11 downloads and Web-based services, you can share large files, save ink, monitor action items, and accomplish even more. DoPDF Free PDF Converter: Want to turn a Word document, Excel spreadsheet, or Web page on your PC into a PDF? Simply install this download and then choose the Print command in whatever program you're using. Select the DoPDF "printer" and tweak the settings, and your PDF is done. Drop.io for Outlook: If there's an easier way to share big files than the Drop.io Web service, we haven't found it. And now you can grab the beta plug-in for Outlook (or add-ons for Chrome and Firefox). It allows you to select up to 100MB of files and then choose your own custom download URL to share them. Ecofont: This font set looks a lot like the familiar Arial typeface, but with one key difference. Each letter has lots of holes punched in it, and so requires less ink to print--which means that you'll spend less money on ink cartridges. Everything: A search tool on steroids, this app indexes all of the items on your hard drive and then performs lightning-fast searches for files and folders. The tiny program takes the place of the regular search function in Windows 2000, XP, Vista, and Windows 7, and it produces dynamic real-time results. FlockDraw: If you have an idea that you need to express visually to people who aren't in the same room, this Web-based service can act as a shared cocktail napkin. Invite other people to view your drawing and even to draw along in real time. Fonolo: Sick of navigating phone menus? This Web service, which gives you access to the phone menus for common customer service numbers, lets you pick any menu item and then connects you right to it, helping you bypass the hassle. iCurrent: Personalize this free news site to match your own interests. This beta service shows you the latest news in your chosen areas, in the familiar format of a daily paper. It can take some work to set up, but it is a good way to keep track of a broad range of subjects. Liaise: Many e-mail messages represent action items, namely things you need to schedule, track, and get done. This Outlook add-in automatically recognizes action items as you type a new message, and then keeps tabs on them and helps you finish them on time. MakeSomeTime: Invoice management poses a real challenge for the self-employed. Sign up with MakeSomeTime to keep tabs on invoices, clients, projects, and billable time, all within the confines of your browser. The free plan lets you manage up to five clients and send one invoice per month. Create a recording of what's on your PC's screen, and send the video to a coworker or relative. It's great for showing someone how to use software. ScreenToaster: Say that you need to show Uncle Al (who lives halfway across the country) how to copy and paste text in Word. The easiest approach? Create a "screencast"--a recording of your own computer screen--and then send him the video. 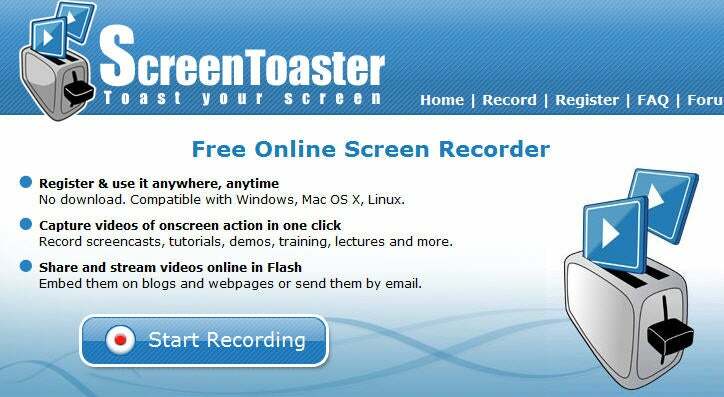 Sign up at the ScreenToaster site, press Alt-S, and you're recording. Once you have finished recording, you can add captions and then upload the video to the site's servers or to YouTube, or download it as an AVI file. Tom's Planner: Gantt charts, with their neat sets of overlapping color lines or blocks, are a nice way to visualize a project schedule. 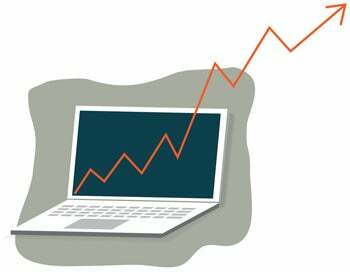 In some apps, however, creating them can involve huge amounts of painful data entry. With Tom's Planner (free for a year with sign-up during the beta), you go straight to the final product.